I am glad to inform all visitors and those who are interested that the second edition of „Das Japanishes Schwert” (A Japán kard magyarul) is just being published, this time in German language as well. The price of the book is €43 + delivery (shipping). It can be ordered only via the following email: japankard@gmail.com. The book will not be available in shops. In case you are interested in it, please, give complete address and telephone number. The expected publishing and delivery is the end of September, we will notify everyone via email. 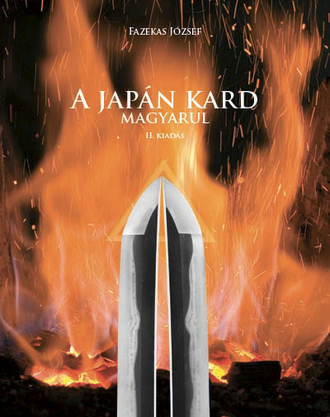 This book tries to approach the topic of Japanese sword in a different way, Apart from facts and theories it follows the phases of making (traditional) Japanese swords in practice. It clears up commonplaces and also reveals the „secrets” that have been taken as myths. It introduces the art of Japanese swords with colourful, spectacular images and hopefully understandably. The author of the book is a sword smith who includes his experiences. The book contains 248 pages with 400 colourful images and illustrations.